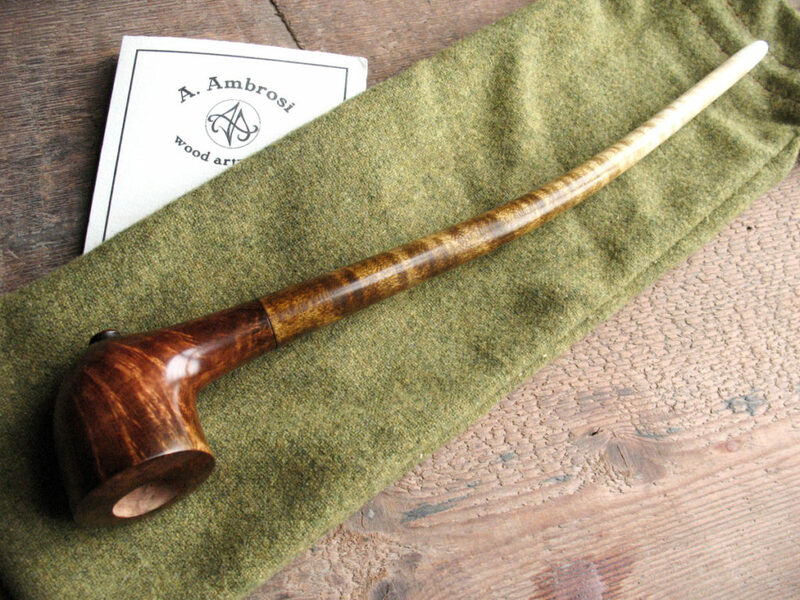 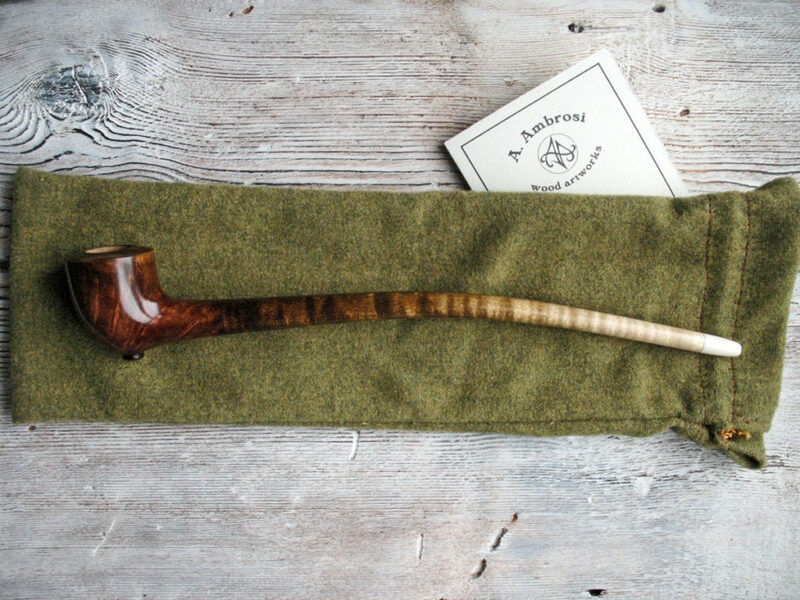 This special edition of Aragorn’s pipe is a deluxe variant of the basic model. 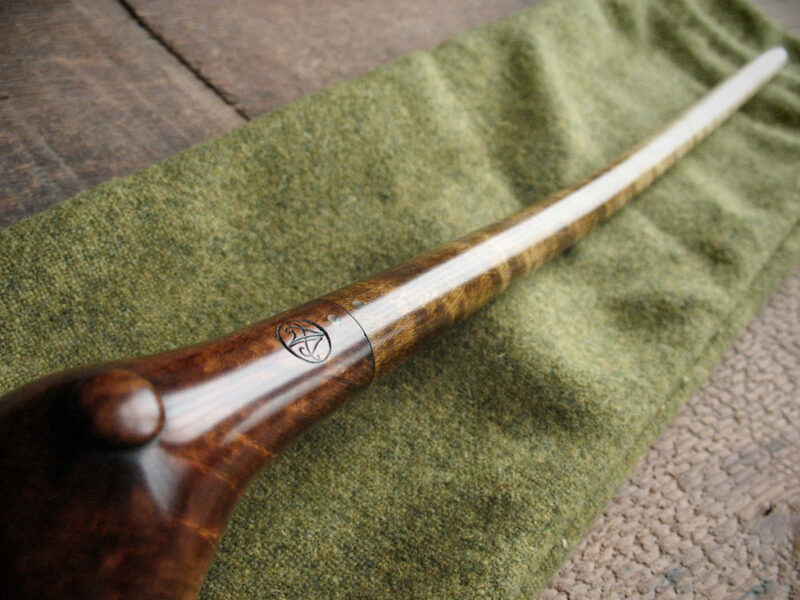 This pipe is entirely built by hand. 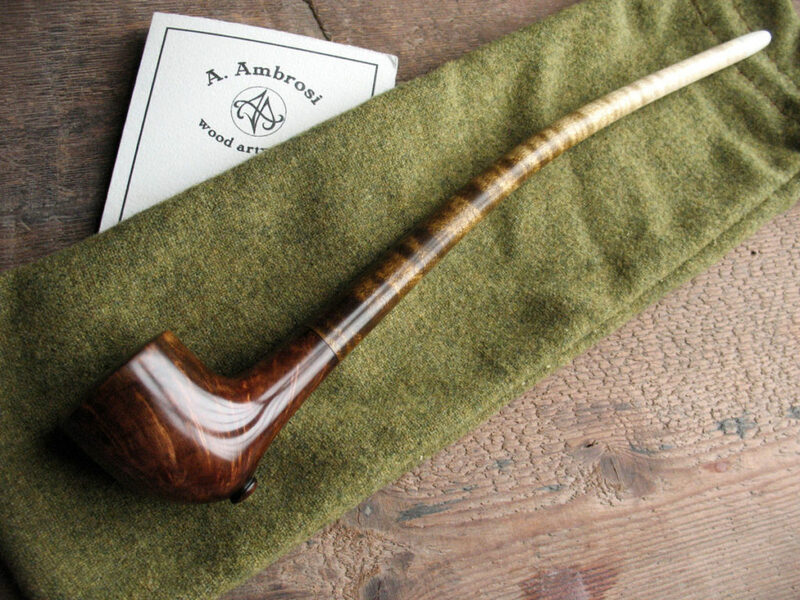 The stem, in curly maple steam-bended, has a methacrylate mouthpiece (ivory white) on the tip; and connects to the fine Tuscany flamed briar bowl. 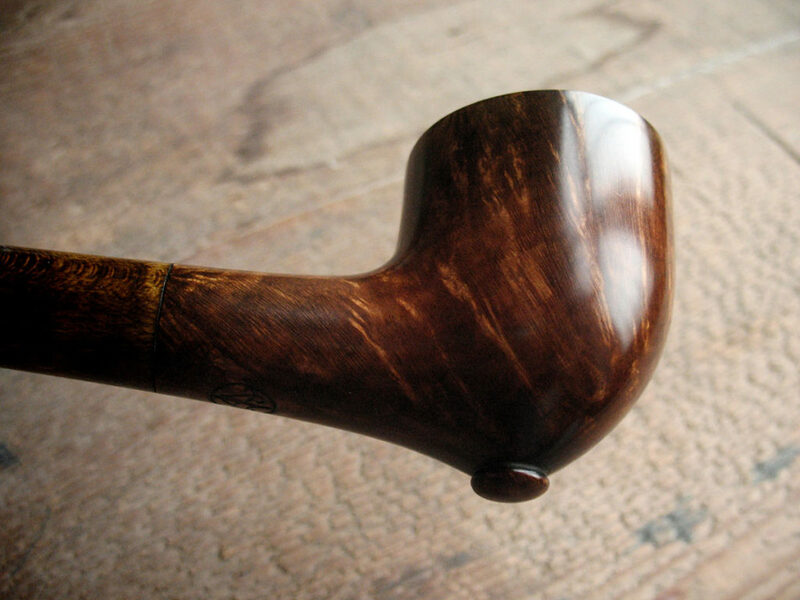 The pipe is enriched by inlaid dark mother of pearl (abalone) dots that indicate the correct alignment of the stem. 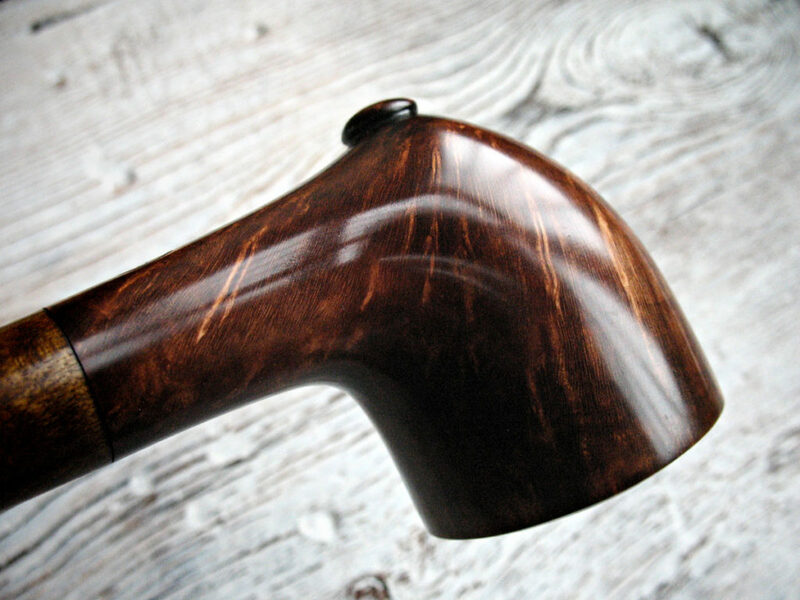 The decorative button, on the bottom of the bowl, is part of the bowl itself (not glued).